C-JeS Entertainment announced on the 28th that JYJ’s Junsu has ended his SBS ‘POP ASIA’ segment in success. Once they were done filming, the staff of the show started copying Junsu’s ‘Incredible’ choreography and showered him with praise with comments like “Great show,” and “Fantastic!” The whole performance was so hot that even broadcasting representatives who were walking by found themselves stopping in front of the studio to watch. The seven o’clock news covered Junsu’s appearance at the broadcasting studio and his work with POPASIA. SBS News introduced Junsu as, “The most-loved singer of Korea,” and covered his schedule inside the studio. 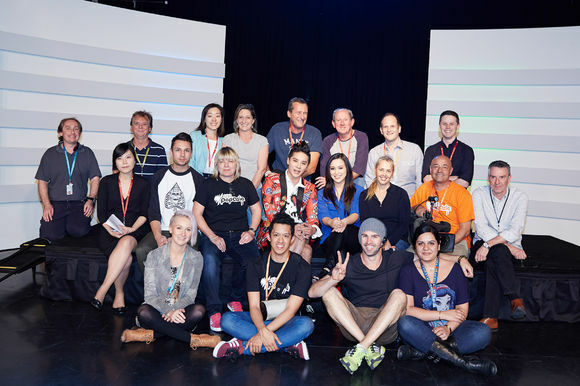 SBS Australia is aired all across Australia and his watched by 8 million viewers, 40% of the population. POPASIA is the first Asian-pop-related program to air in Australia and always scores a high viewership. Kicking off his official schedule in Australia with a press conference, Junsu filmed his POPASIA segment and is gearing up for his first Australian concert on the 28th.